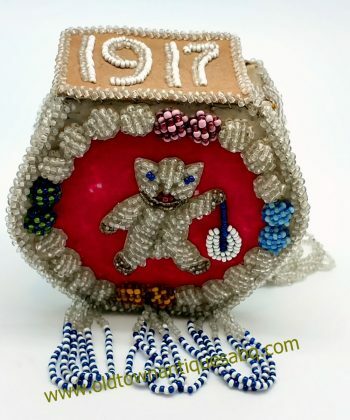 An extra whimsical whimsey made by an Iroquois artist in, exactly, 1917. 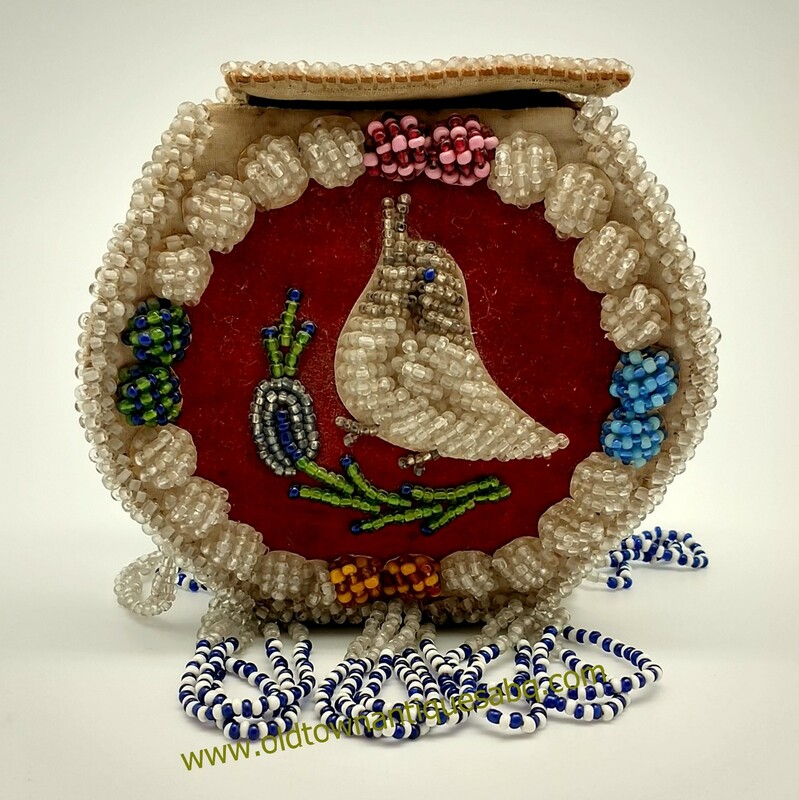 A special vintage Native American tourist piece, this is an elaborate Iroquois box. 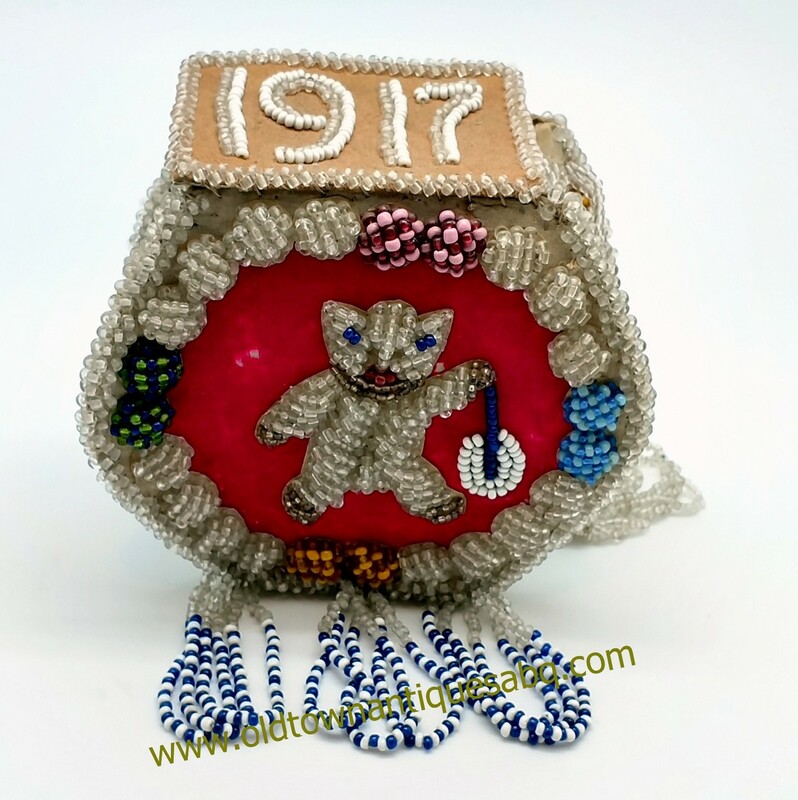 Much of the Iroquois beaded pieces are great but this one is extra fun with what looks like a teddy bear holding a toy, birds, flower and foliage and the date. 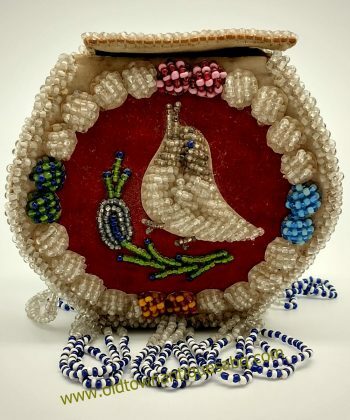 It is also in amazing condition for it’s age with only a few small moth nibbles to the pink fabric under the beadwork. The box is a little out of shape so the lid sits a bit askew. Approximately 5″ tall by 5 1/2″ by 3″ with additional 2 1/4″ fringe and about a 15″ handle.